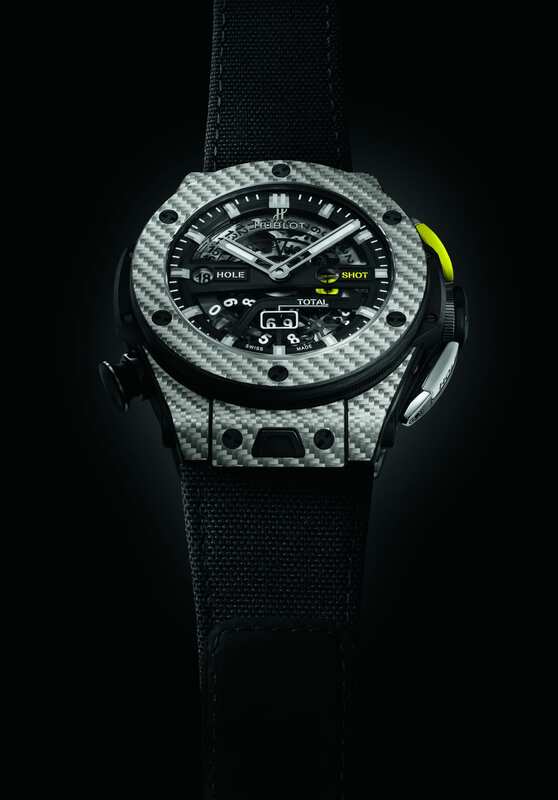 The Masters is underway at the Augusta National with watch brands including Audemars Piguet, Rolex and Omega well-represented by their legions of brand ambassadors. 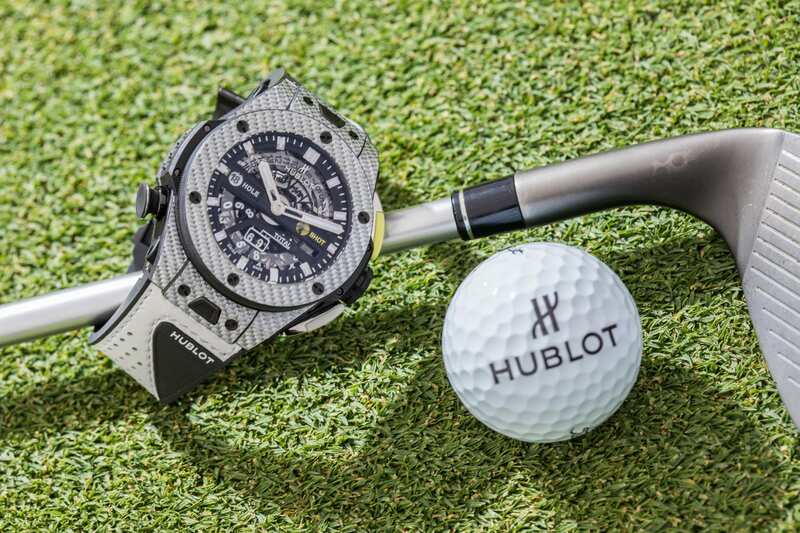 Investment in these sponsorships are mainly down to the well-healed older male audience that both plays golf and invests more than any other demographic in fine Swiss timepieces. Looking to appeal to a younger cohort of players are companies creating watches that help people on their actual rounds of golf. 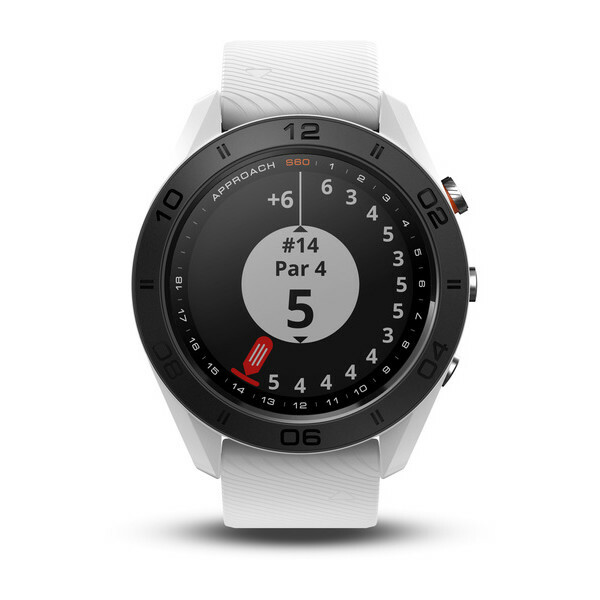 In the age of microcomputers worn on the wrist, this is mainly the area of smartwatch makers, but there also more analogue solutions to track a score across 18 holes, as WatchPro discovers on a quick look through the leaderboard of current offerings. First up is Garmin, a name synonymous with timekeeping in sport and a favorite of runners, riders and swimmers. 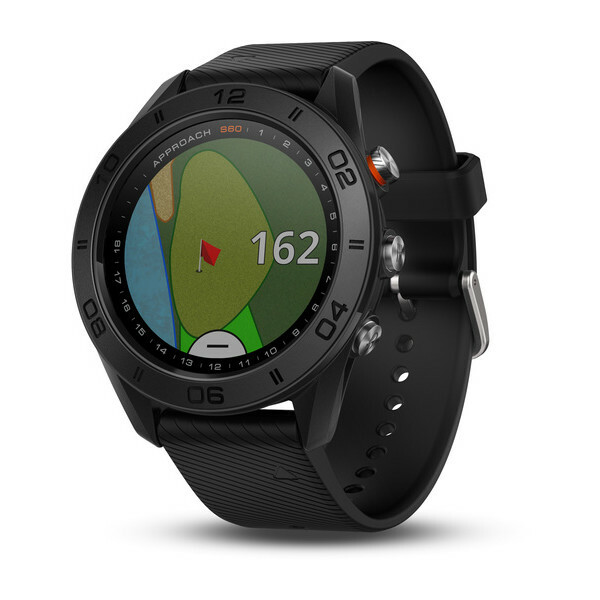 For golfers, Garmin has a range of different products including a laser range finder that will reveal the precise distance to a green and sensor equipment for advanced golf swing metrics. On the wristwear front, Garmin has a family of options under the Approach name. Its most advanced is the GPS connected Approach S60 that works with a smartphone app to show precise yardages to greens, hazards and doglegs, on full-color course maps. It has more than 40,000 pre-loaded courses from around the world and its AutoShot game tracking automatically tracks shots along the fairway and records shot distances for post game analysis. The S60 retails in the United States for $350 today. 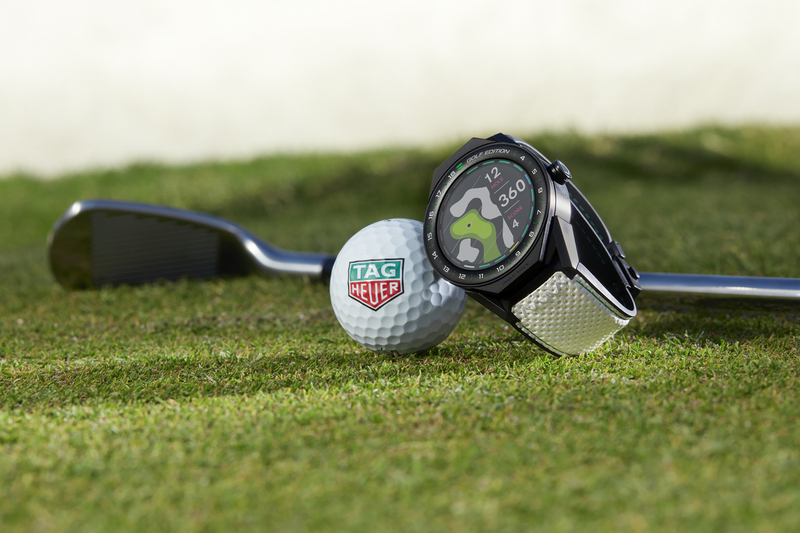 TAG Heuer has produced a special Golf Edition of its Modular Connected smartwatch this year with extra sensors a sporty white strap. It is designed to work with TAG Heuer’s Golf app, which will work with iOS and Android smartphones. The new edition is powered by an Intel Atom processor, with 512 MB of memory and 4 GB of storage. The touchscreen has a 400 × 400 screen resolution and is covered by a scratch-resistant sapphire crystal. It has multiple sensors, including GPS, NFC, an accelerometer, a gyroscope, a tilt detection sensor, a microphone and a vibrations haptics engine. 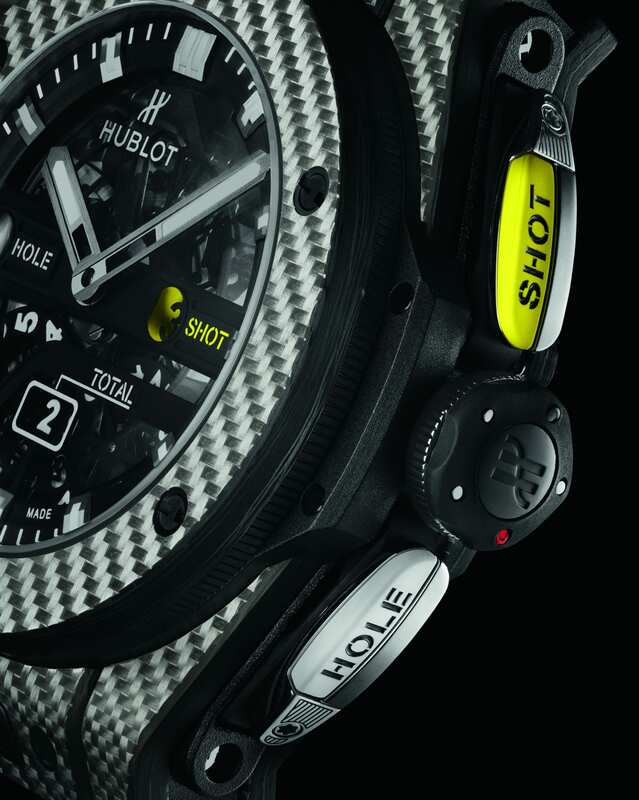 Launched in 2017, Hublot has one of the most visually striking and mechanically sophisticated golfing watches on the market. The Big Bang Unico Golf is carved from Texalium, a lightweight amalgamation of fiberglass-and aluminum, housing a MHUB1580 full-skeleton mechanical movement. It has a putter-shaped pusher at 2 o-clock that activates the mechanism for displaying the number of strokes taken and counts the strokes per hole. The pusher at 4 o’clock allows the wearer to move on to the next hole by resetting the stroke counter to zero. The counter at 6 o’clock displays the total number of strokes played and is simultaneously updated. The pusher at 8 o’clock is shaped like a tee and resets the mechanism and sets the counters to zero at the end of the round. 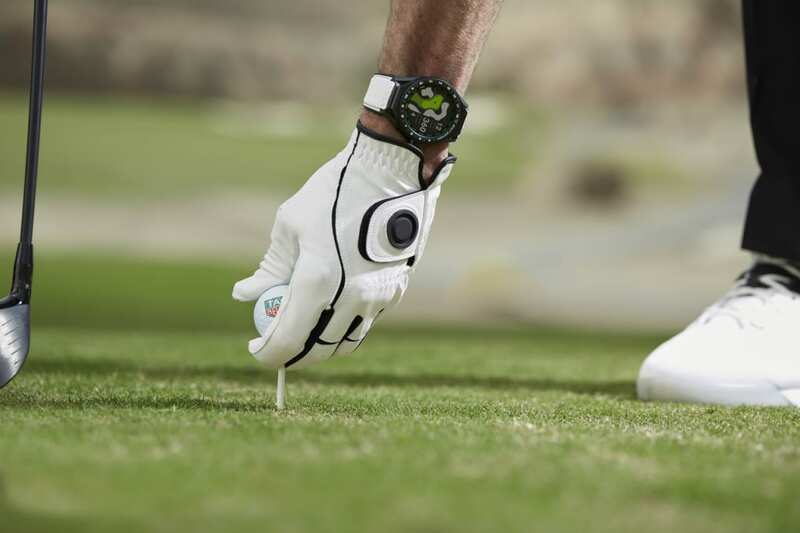 The watch, which was designed in conjunction with American golf star Dustin Johnson, comes with two interchangeable wristbands, one is made of white leather sewn on rubber and designed like a golf glove, while the other is made of technical fabric with a Velcro fastener to ensure the watch sits perfectly on the wrist.